Have the garden you've always wanted! Turn your dream garden into reality with our professional lawn mowing and garden maintenance services. We can help you enjoy your lawn instead of worrying about it! We are a professional lawn mowing company that operates in Melbourne. 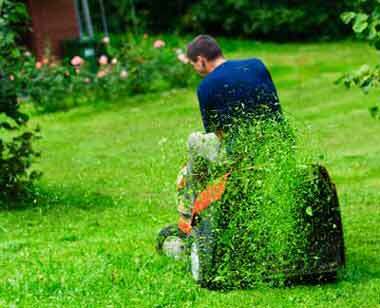 We provide a friendly lawn mowing and garden maintenance services at reasonable prices. Our lawn mowing services also include edging, lawn fertilising, hedging, pruning, weed control and removal of all lawn clippings and green waste. We have a substantial amount of equipment to do the job right from small lawn mowers to large lawn mowing equipment. Our all gardeners have experience to transform any open area into a living leisure space. We pride ourselves on providing customer satisfaction. We are fastest and reliable garden waste removals in Melbourne. We can remove all types of green waste. We dispose of all garden waste in an environmentally friendly manner. Singhz Gardening Services offer a range of grass cutting and garden rubbish removal services in Melbourne. From large wide open spaces to small internal gardens, we are happy to meet your requirements. Our lawn mowing specialists know exactly how to trim your edges and cut your grass so that it’s left looking green and lush. Have you been putting off removing garden? Let us remove unsightly green waste to keep your garden looking great. We offer hedging and pruning services in Melbourne using professional tools to provide the most efficient service. We offer routine garden maintenance services and are pleased to be able to service Melbourne city and surrounding suburbs. We take care of all your lawn mowing requirements. Our team consists of highly trained professional gardeners and fully vetted and insured. We give you back your weekends to do the things you want to do. We offer high quality services at competitive rates for lawn mowing services and garden maintenance services. We provide friendly advice on all garden-related matters and give obligation free quotes. No more strugling with your lawn mower, just to get it to start. We prefer south east south suburbs of Melbourne.